Blackboard xpLor: Interview with Brad Koch, VP Product Management, Blackboard Learn. does it work with LMSs from other companies? is it for learning objects or complete courses? what's available to share in addition to Khan Academy content? 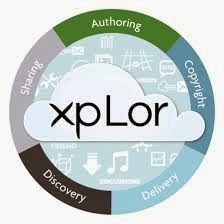 how do features compare between xpLor and Bb LMS? why would anyone continue to develop courses in the Bb LMS? Please save the date of Monday, December 16, 2013 for the first Northeast E-Learning Consortium Un-Conference. The event will be hosted by the University of the Sciences, Philadelphia, PA. The event will also include the first Philadelphia stop on Blackboard's "Never Stop Learning Tour".